Marriott today unveiled a new updated transformational logo for its Sheraton brand. Marriott has been vocal about the need of updating many of its older Sheraton hotels that don’t quite meet the today’s standards for the brand. A LoyaltyLobby reader sent us a question that is likely interest to many; does Marriott Bonvoy offer soft landings? Marriott Bonvoy brought back the popular SPG Member Exclusive Offers earlier in February (read more here) and appears to have launched new version for March based on the reader feedback that we have received. Members (not all) have been selected one of the offers from bonus points, elite qualifying bonus nights to free nights certificates through June 30, 2019. Marriott Bonvoy members have turned the word into a proverb BONVOYED that means negative customer service and program “enhancements” that many have experience ever since the program merger back in August 2018. Now this word has been turned into a website bonvoyed.com and there is also parody Twitter account FakeBonvoyArne. 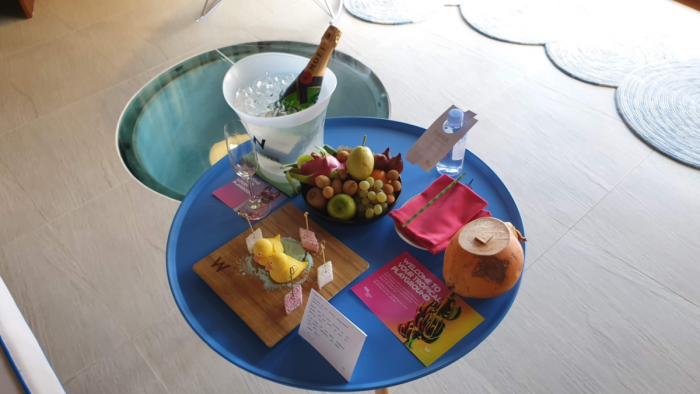 This week Fabulous Fridays covers the sometimes marvelous welcome amenities that hotels put up for their elite guests. Remember that you can always email us, send a message via Facebook or use Twitter and include photos too if you have a good case that we could feature on Fridays! Marriott Bonvoy has launched new offer for Air Canada Aeroplan member stays this spring in Canada. Aeroplan members earn 1,000 bonus miles for each weekend night (Thursday to Sunday) for a maximum 4,000 per stay between March 1 – May 31, 2019 booked using promotional code M12. Marriott Bonvoy had a Fall 2018 MegaBonus that was valid for stays September 26 – January 31, 2019 that allowed members to earn bonus points based on nights consumed and brands visited. 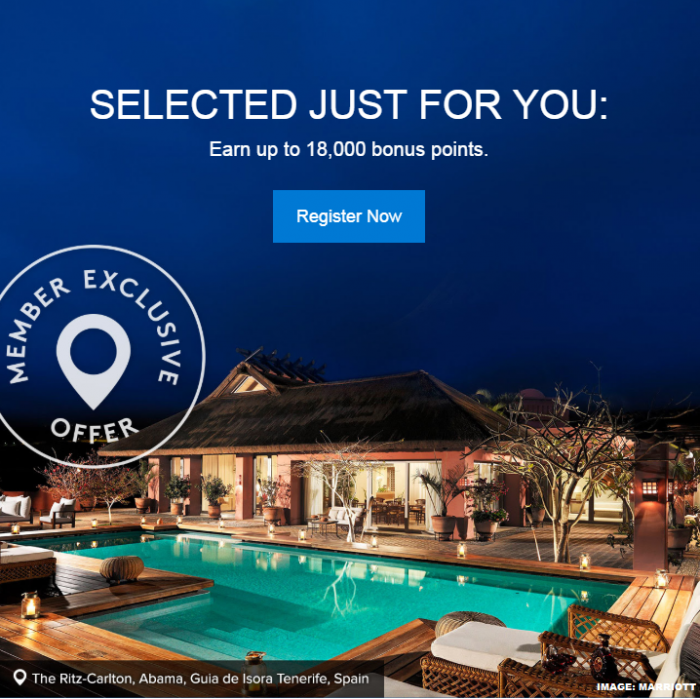 Members were eligible to earn 2,000 bonus points for each stay of two nights or longer starting from the second stay + 1,000 bonus points for each brand starting from the second. Marriott Bonvoy has now enabled the registration for the Double Take-promotion that is valid for stays between March 19 – June 4, 2019. Members earn double points starting from the second stay and there is an additional weekend stay bonus of 500 points for affiliated US credit card holders. Marriott CEO Arne Soreson will testify before a senate panel on Thursday, due to SPG data hacking that went on for years and exposed hundreds of millions guest records including five million passport numbers. The senate panel is investigating private sector data breaches that have exposed information of millions Americans. On February 8th Marriott Bonvoy announced award category changes that will take place tomorrow (March 5, 2019) along with the seasonal pricing and category 8 pricing that have been available before then at category 7 level. There are 258 hotels moving up one category and 37 that will move down. Marriott currently has 6,900 hotels open. Thus these changes affect roughly 4.3% of properties. It is again time for the Freddie Awards and programs have started to spam their members in hope of getting their votes. Some have already receive this email from Marriott Bonvoy hoping to win in six categories despite all the mess over the past six months including the best customer service that is practically now non-existent at times.